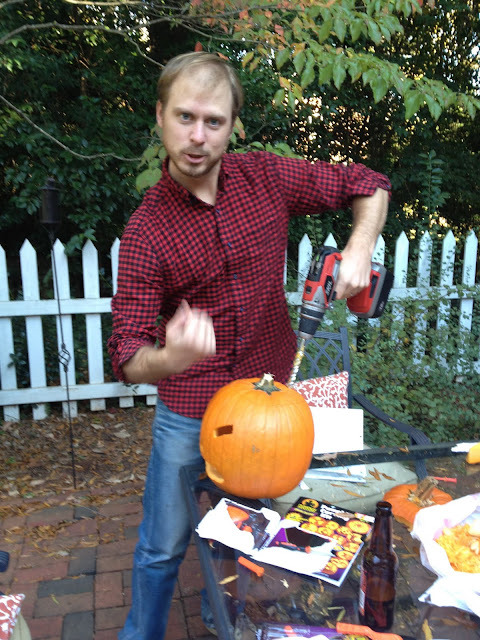 We're getting in the halloween spirit around here-- pumpkin carving, seed-roasting, spooky decorating fun. This year it was a polkadot pumpkin thanks to Mat's drill skills. Old Bay kissed pumpkin seeds are my favorite variety. 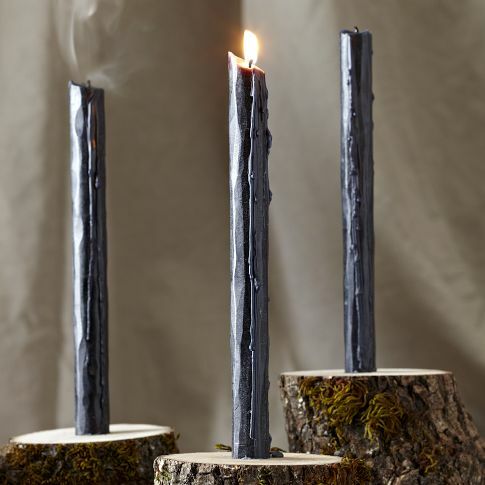 And these are the candlesticks spooking up the mantle. 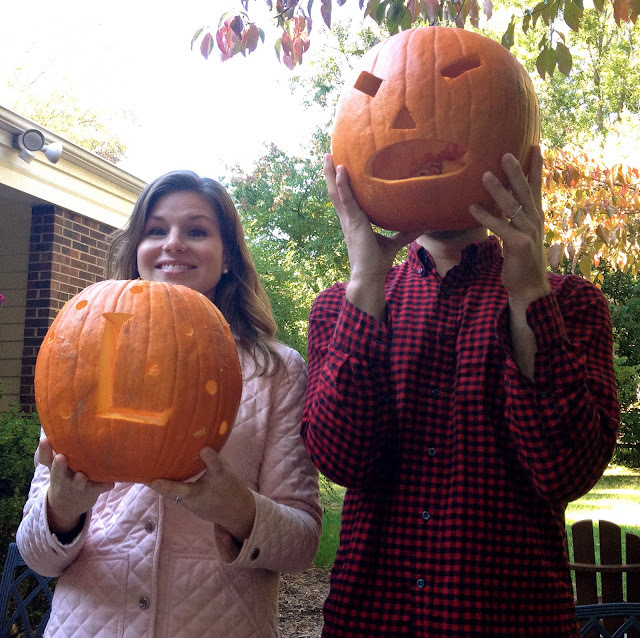 You guys are so cute holding your pumpkins! Also, love the candles-too spooky and fun! Love what you did with a drill!!! That pumpkin. Those "candlesticks"!!! Awesome!